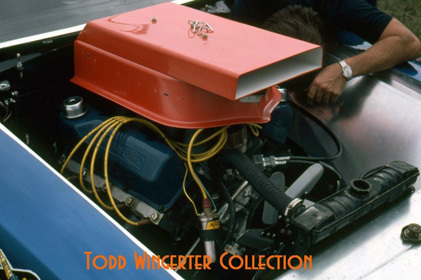 Here’s a shot of someone prepping a mighty 351 Cleveland used to power the Pro Stock vehicles. Exhaust plates visible. Todd Wingerter took the shot.